A must see! 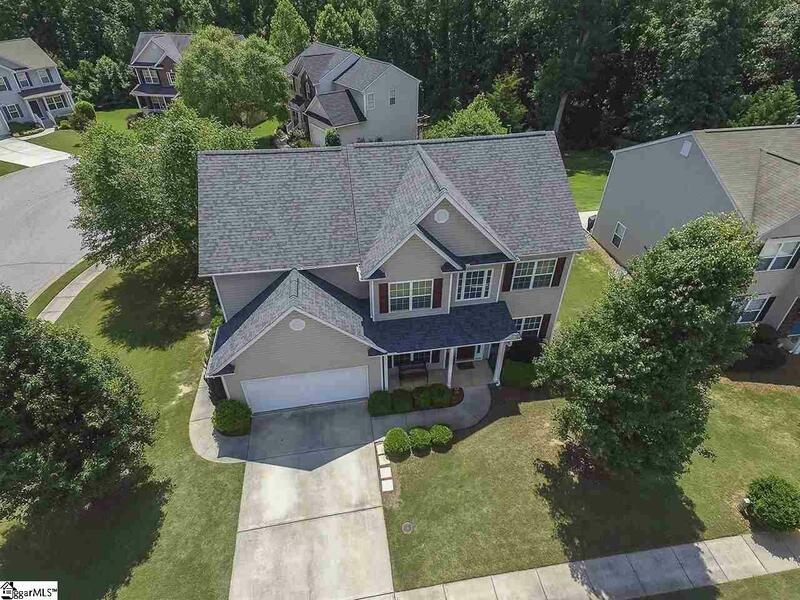 Two story, 4BR/3BA beauty in the highly desirable Morning Mist neighborhood. Quality built by nationally acclaimed home builder, Lazarus Shouse. This home is nestled between two cul-de-sacs and removed from busier main roads in the neighborhood, and so it?s a place where children feel safe to play in the street. 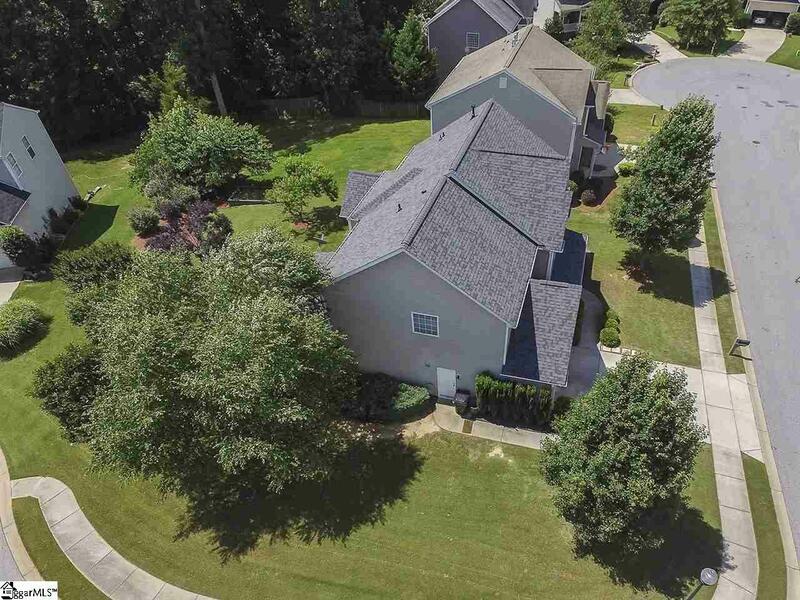 Close to excellent schools and located only 20 minutes away from downtown Greenville. There is also a 25-meter community pool in the neighborhood, with a relaxing cabana. 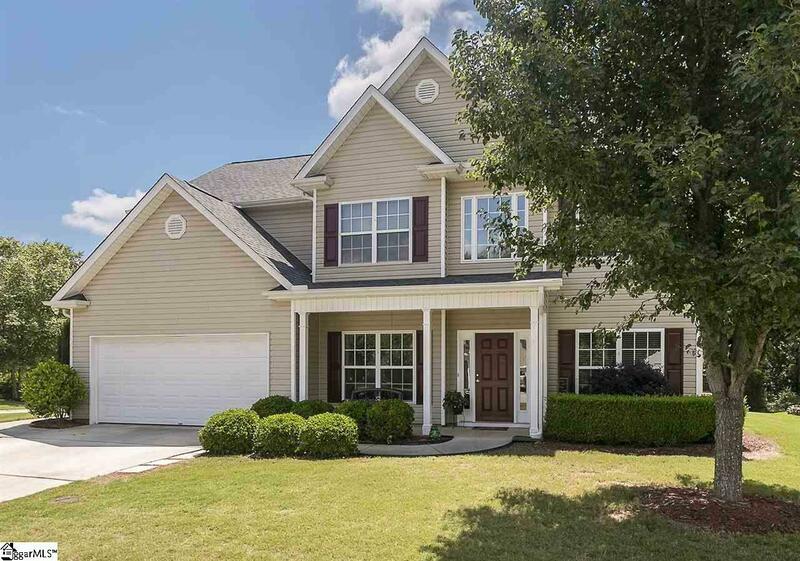 This newly-roofed home boasts a two-story foyer and great room with a flowing floor plan, hardwood floors, and a gas fireplace for chilly mornings. Downstairs includes an added extra large, versatile bonus room perfect for a home gym, in-law room, or children?s playroom. The first floor also features a full bath, enormous kitchen, breakfast area, vaulted great room, formal dining room, and office. Upstairs features three bedrooms, a laundry room, and a spacious master bedroom with trey ceilings, a double vanity, and a jetted tub. It is situated on a noticeably larger corner lot between two cul-de-sacs for that extra bit of privacy. Enjoy quiet evenings on the 12x20 screened-in patio as you look out at the lushly landscaped yard. All windows have even been tinted for extra energy efficiency. Come by and see the tremendous value this immaculate and upgraded home has to offer! It?s the perfect place to call home.